The dates for the Limerick LGBTQ Pride Festival 2019 have been announced! The festival will run from Friday, July 5th – Sunday 14th, 2019, with the Limerick LGBTQ Parade taking place on Saturday, July 13th, 2019. Mark your calendars!! 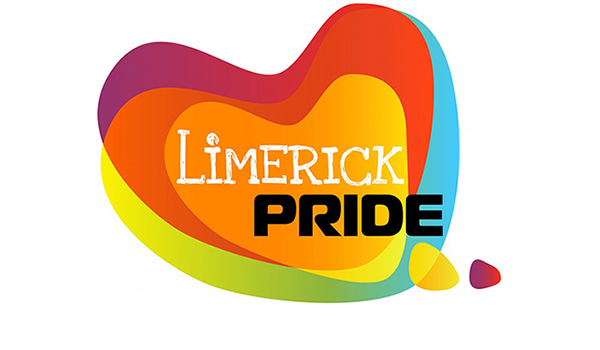 The annual Limerick LGBTQ Pride Parade on Saturday, July 13, will bring some extra colour and music to Limerick City Centre, gathering at City Hall at 1.30pm. The route follows the same route as previous years, after leaving our assembly point, we travel up Patrick St, continuing all the way up O’Connell St before turning right onto Lower Mallow St, we then turn right again on to Henry St and continue all the way down past Arthurs Quay Park. We then turn left onto Rutland St to end up back outside City Hall. Expect full-on colour, dance, music, street performance and theatrics. Be Loud, Be Bold, Be Daring, Be There! The Pride Parade is always a highlight of our annual festival. It is an opportunity for us to march in solidarity and hear the power of our voices combined. It is also a chance for us to celebrate, to celebrate ourselves, our diversity, our achievements and our friends. Admission to the Pride Parade is free for individuals and community groups that support the ideals and principles of Pride, though registration is required for all groups taking part. This year after the Pride Parade we throw our biggest ever after party. Welcome to PrideFest 2019. Limerick LGBTQ Pride ‘Pridefest 2019’ will be held in the gardens of the Hunt Museum this is a free family-friendly event with a free bouncing castle for kids, cone van, cafe and bar on site, live music from Voice of Ireland Emmett Daly & Cork due Sparkle, with plenty of entertainment. These are the registration forms for the 2019 Parade. The parade is always the biggest part of our Pride Festival, with hundreds showing up in support of the LGBTQ community in Limerick.The numbers for the pride parade are ever-growing, both spectators and of those involved. To register email us at info@limerickpride.ie. To volunteer email us at info@limerickpride.ie.